With Operation Burnt Horizon underway, it’s time to get to know the operators. Operation Burnt Horizon is live and we have some new operators in the field. 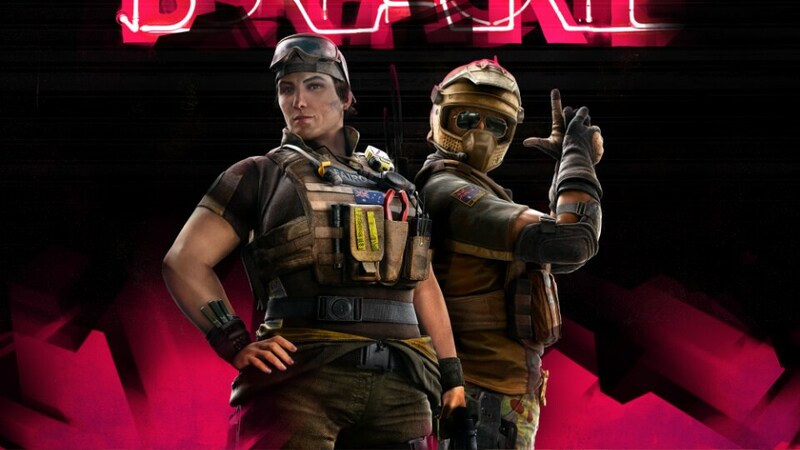 Mozzie and Gridlock are the newest additions to the roster of Rainbow Six Siege, and these two new operators are already disrupting the way players approach every match. Let’s take a look at the operators and their abilities. Mozzie, the two-armor, two-speed defender, is a truly unique operator. His ability to take over attacker drones with his Pest launcher should be a powerful one. 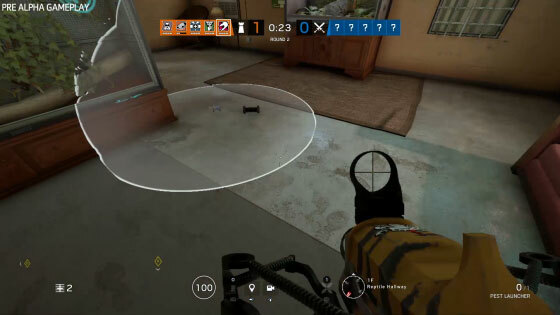 When using Mozzie’s ability, players can launch a Pest at an attacker drone to commandeer it, or players may preemptively choose to trap a drone hole, or any other high traffic drone area in order to capture an enemy drone. The latter of the options allows Mozzie to capitalize on the attackers’ false sense of security while droning, and the former requires some serious aim skill to execute. From the point of capture, Mozzie can freely use the attacking teams’ drones against them to provide the defenders with unprecedented information. The use of Mozzie’s ability slows attackers in a way that is unique. It is true that we have Val and Maestro, but their intel abilities remain largely passive, as attackers can spot the defender cams, and know that they likely will not move for the duration of the match. With Mozzie, the dynamic gets a bit more complicated because he is just one quick turn away from relocating the captured drone to a safe spot away from the attackers’ line of sight. 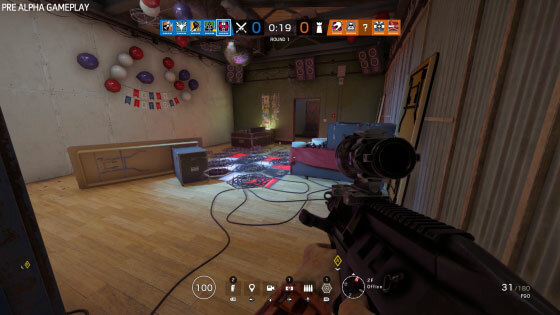 From experience, when a player loses sight of a Mozzie-controlled drone, it causes a sinking feeling in the player’s gut that causes them to rethink their Siege instincts. The mechanic greatly adds to the cat-and-mouse nature of Siege. While Mozzie changes the way attackers approach their intel gathering, he is also seriously kitted-out. Boasting the Commando 9 assault rifle, Mozzie joins Jager as one of the only defenders to be blessed with a assault rifle. Additionally, Mozzie has access to the P10 Roni as another primary, and players can choose from the Super Shorty shotgun, or the SDP 9mm for a sidearm. Players who use Jackal and Mira will feel at home with the Super Shorty, and are sure to make good use of its utility. Mozzie signals a balanced and welcome change to the game. Up next is Gridlock, the new 3-armor, 1-speed attacker. We have to say that Gridlock is an extremely interesting operator when it comes to countering roamers. Gridlock sports the Trax Stingers as her ability, which transform from a thrown projectile into a roamer’s worst nightmare. The Trax device lays down a hexagon-shaped mat that is covered in damage-dealing spikes. Not only do the Trax deploy, they multiply to fill an entire space, leaving attackers cut off from entering a site, or escaping a gunfight. While roamers might be shouting from the rooftops about this ability, it’s fair to say that the Trax ability is balanced because each hexagonal pad can be taken out with one bullet each. Although, you may want to think twice about popping off the rounds it will take to clear the route. The sound of your gunshots may alert the enemy team to your position, and can directly lead to your demise if you aren’t careful enough. Gridlock’s Trax ability is a solid representation of Siege’s risk-and-reward dynamic, and really ups the stakes of roaming when Gridlock is in play. Gridlock’s loadout is also robust. She rocks a F90 assault rifle with a solid fire rate, and a M249 LMG with the newly modified ACOG scope given to Nomad, Kaid and Capitao. There is a fair amount to consider when choosing a loadout in a match. Do you go for the F90’s fire rate, or do you go for the penetration and sheer terror that is the M249? Whichever you choose, it’ll be a bad day for attackers when combined with the Trax Stingers. Gridlock and Mozzie are refreshing additions to Siege on all accounts, and it will be very interesting to see how players find new strategies to better implement their respective gadgets. Go shake up the meta now. Operation Burnt Horizon is live, and both Mozzie and Gridlock are already tearing up the Outback.